Gene took us out last weekend for some “unmatched” excitement and fun… and something we had never experienced before here on Amelia Island! 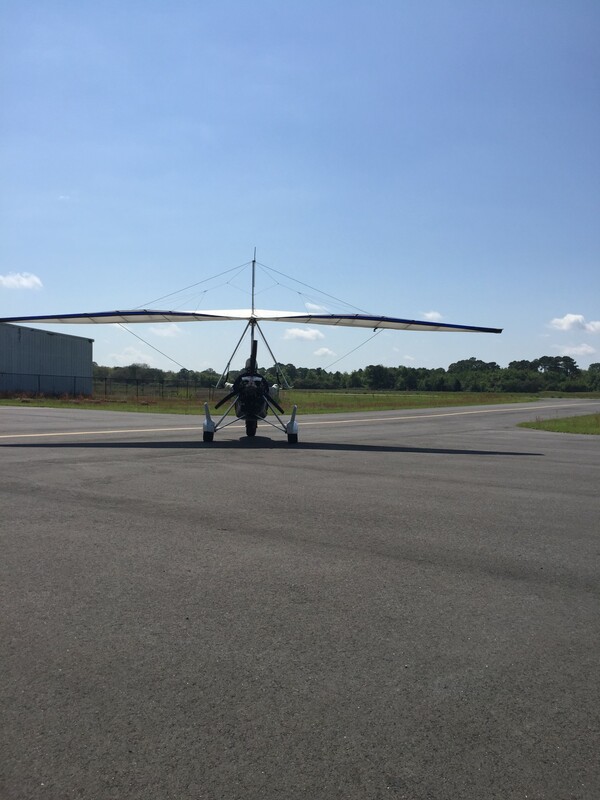 It’s called “powered hang gliding” and you fly in a super-cool flying machine called a “trike.” After gearing up in a flying suit comparable to NASA-certified gear, we received a safety lesson from our FAA licensed pilot, Gene. Gene was friendly, experienced and informative. 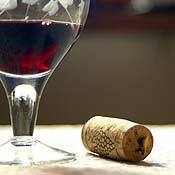 But most of all – he was in control; something I want at 1,ooo+ feet! After donning our two-way communication headgear and helmets, we were strapped in and ready to go. 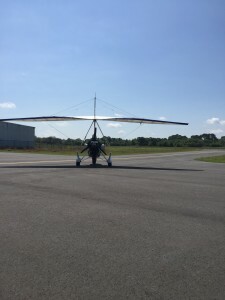 The flying excursions are designed for two people so you ride behind the pilot in the “trike.” That enables you to relax, enjoy the sites all the while feeling completely at ease. Gene navigated the way as I asked questions and he made sure I was doing well. The conversation was enough to be informative but did not prevent me from taking in the beauty and splendor of the specatucular views we experienced of Amelia Island. We could even make out the Blue Heron Inn! If you come with more people than yourself (which we did) do not fear! They have comfortable chairs, bottled water and a safe place to take pictures while you wait on your friends or family. Most flights last between 30-45 minutes and take off by the Amelia Island Airport. They will also video tape your flight if you want. Five stars! 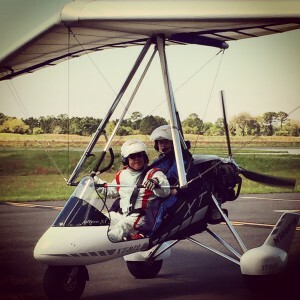 For more information visit www.airamelia.com. 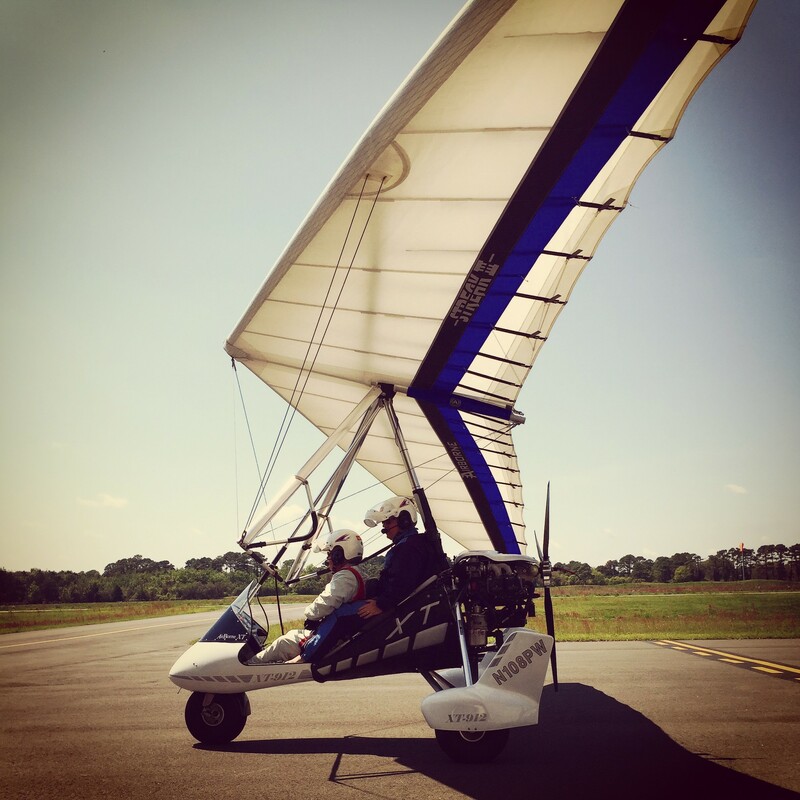 Posted in Amelia Island Bed and Breakfast, Amelia Island Florida | Comments Off on Try Powered Hang Gliding!